Happy day-after Thanksgiving! 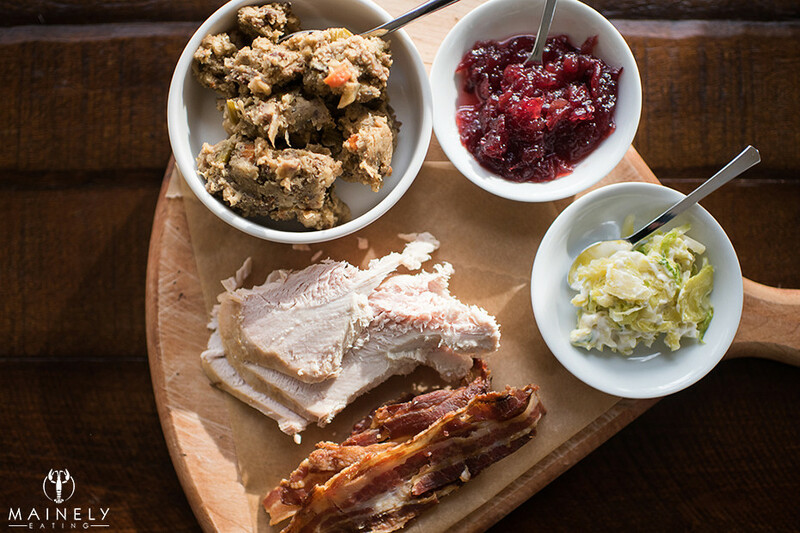 Do you have tons of turkey in your fridge right now? Maybe you’re thinking about a turkey curry or risotto or soup? 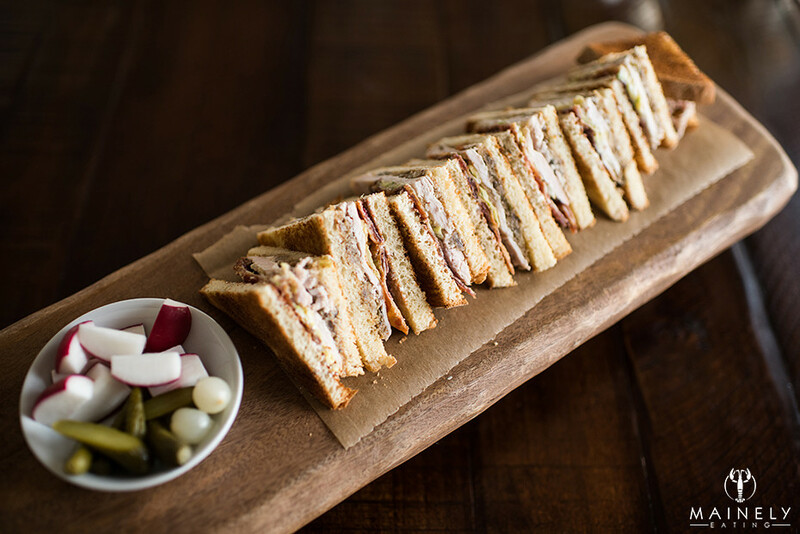 May I suggest the humble Thanksgiving sandwich? But this isn’t just any leftover turkey sandwich. 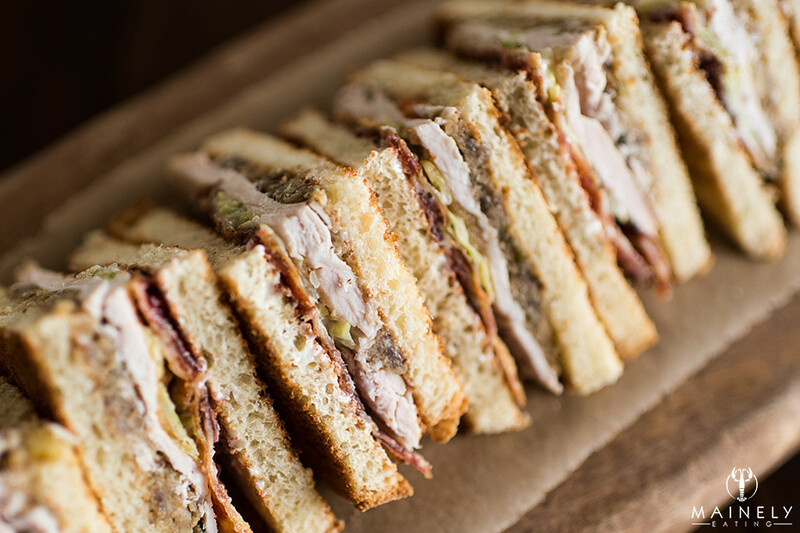 It is (in my opinion) the very best sandwich you can make with your Thanksgiving leftovers. And I don’t say that lightly. While I was at school I worked for a few years in a pretty great sandwich place and I’ve eaten a LOT of sandwiches over the years so I’d consider myself somewhat of a sandwich aficionado. You have to start with really great bread. Either soft fluffy white bread, or my preference is for lightly toasted bread (for a little crunch). 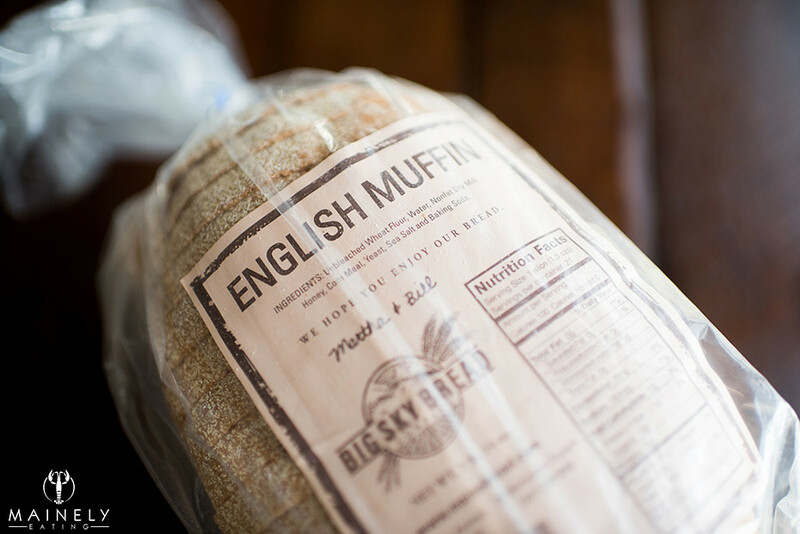 For this I grab an English Muffin loaf by Maine bakery, Big Sky Bread (click here for more information including locations). 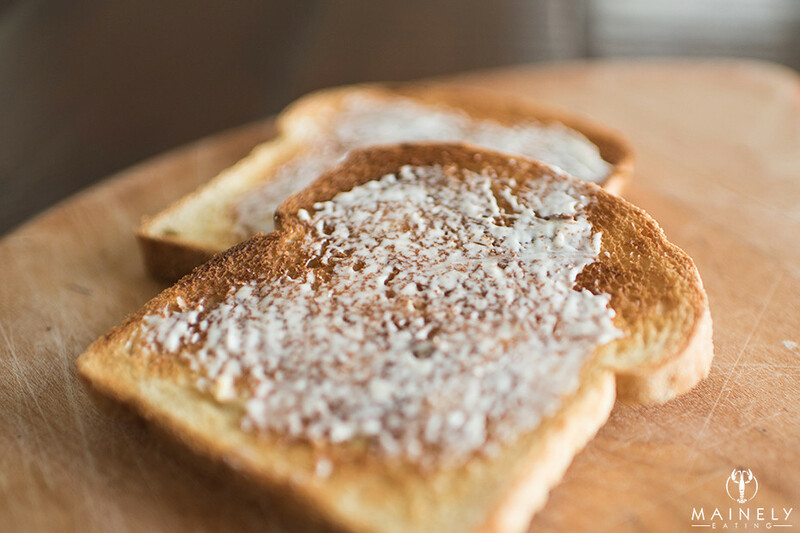 It’s dense but not too dense and toasts up perfectly. Gather your sandwich filling ingredients. I have leftover turkey, leftover homemade sage, onion and sausage stuffing, and leftover bacon (it was covering the turkey as it cooked yesterday and preventing it from drying out). All tasty ingredients but used alone there’s the potential for your sandwich to be a little dry. Avoid the sin of the dry sandwich by using cranberry relish and mixing up some mayo with finely shredded Brussel sprouts. Other options would be a little mashed avocado or maybe a spicy mayo. If your turkey is dry and you happen to have any leftover gravy, don’t be shy, brush it with a little of the gravy for extra deliciousness. Eat just as they are or add a little radish/pickle/cornichon for bonus crunch! What are you doing with your turkey leftovers? I’m currently simmering the turkey carcass to make flavorful stock for soup later! This entry was posted in Lunch, simple, Uncategorized and tagged thanksgiving sandwich, turkey leftovers by Mainely Eating. Bookmark the permalink.